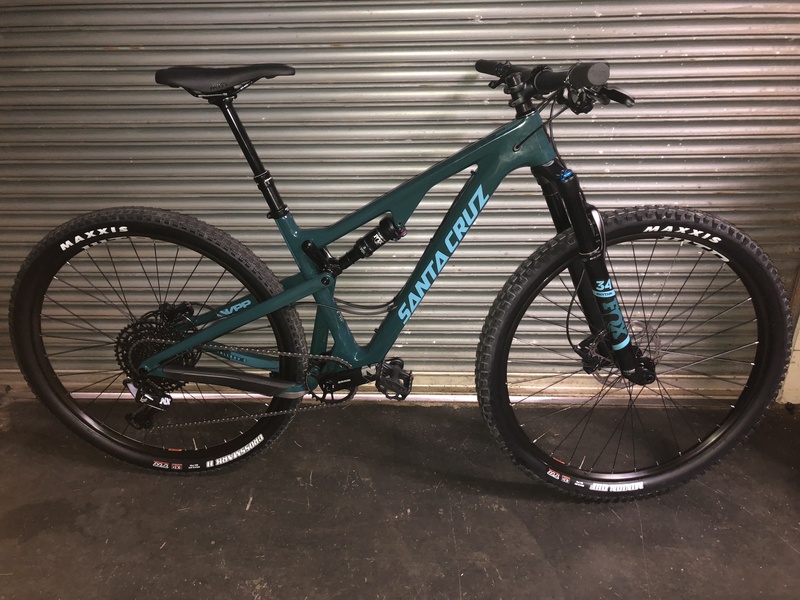 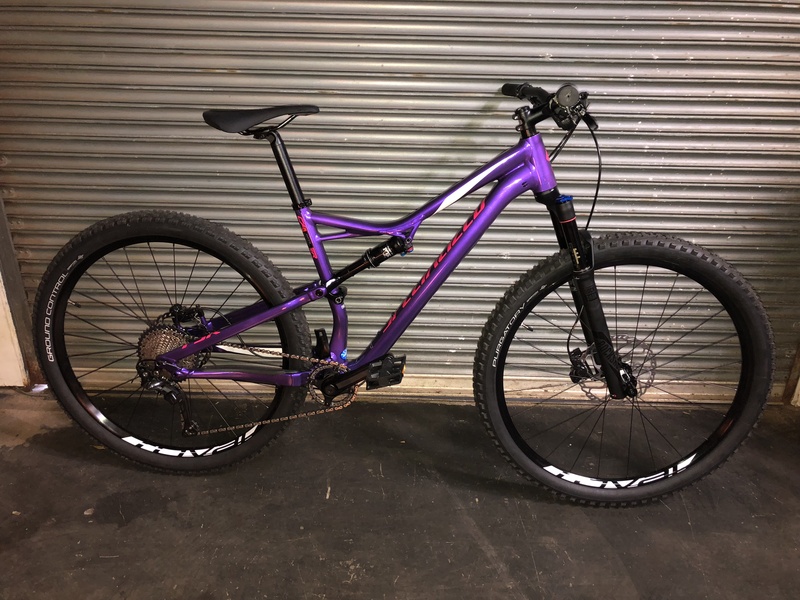 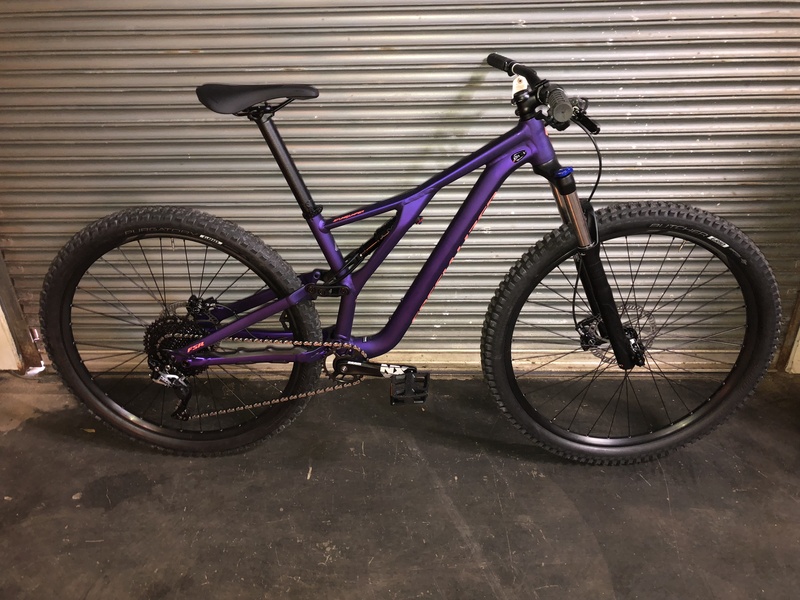 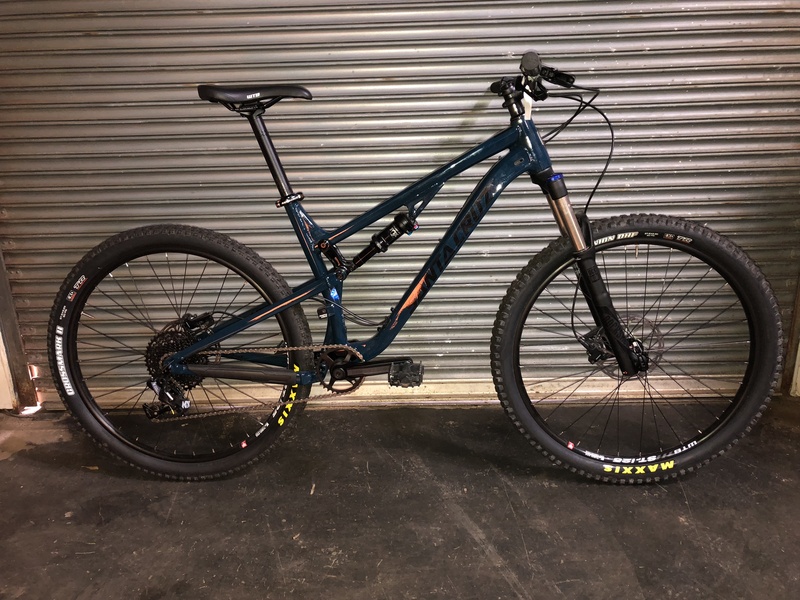 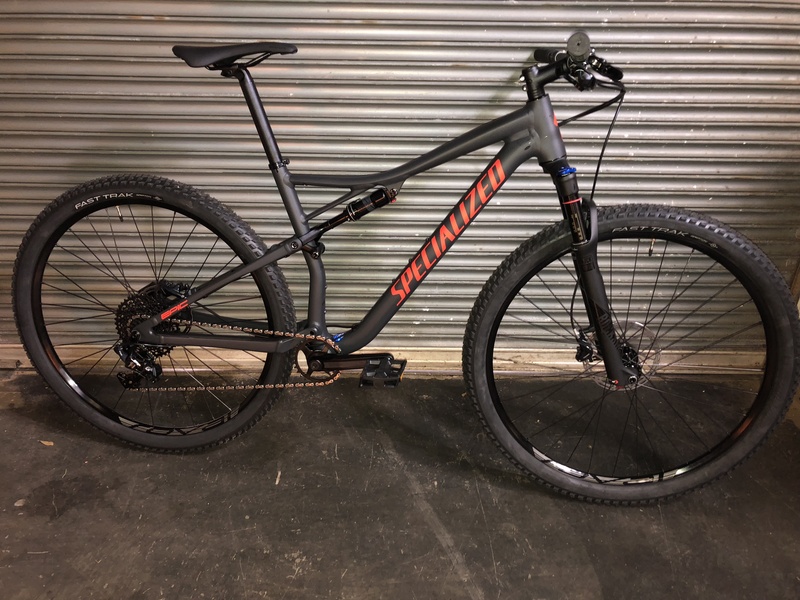 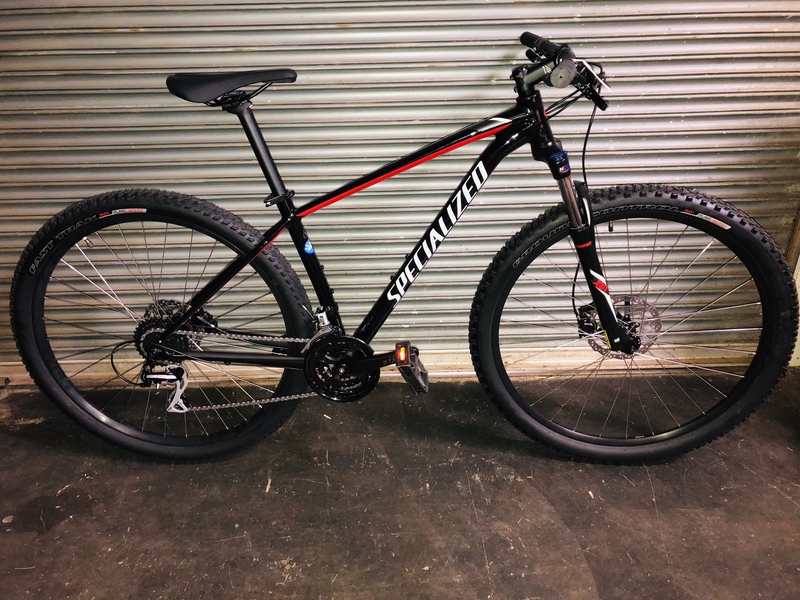 2018 Specialized Rockhopper Sport 29, Extra Large - Higher Ground Bicycle Co. 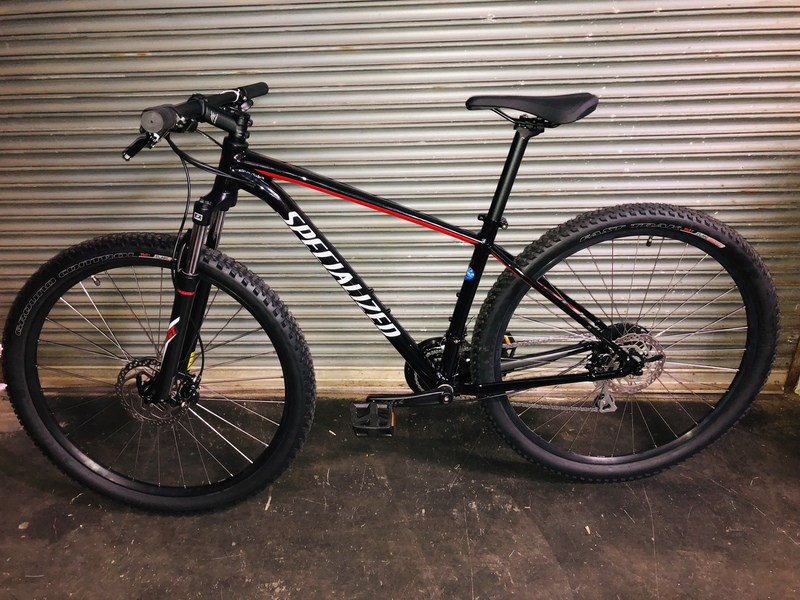 The Sport model of the Rockhopper features hydraulic disc brakes. 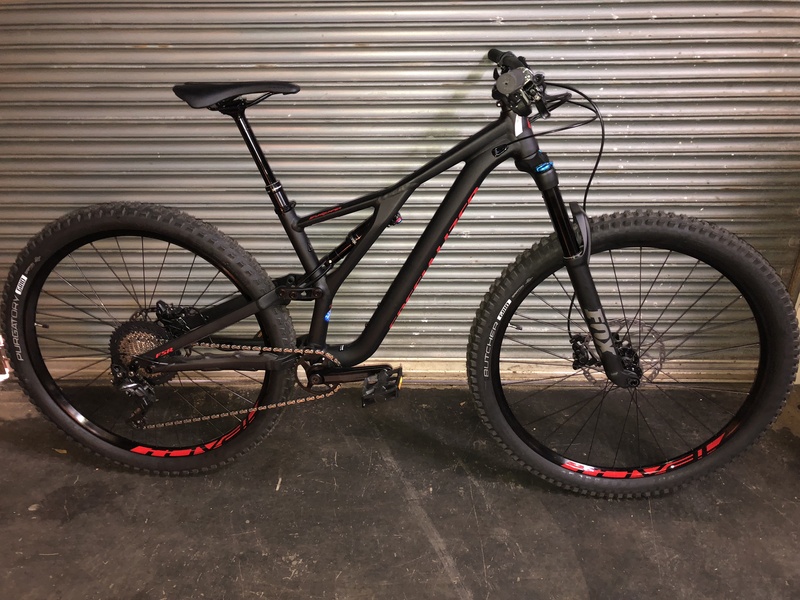 The Specialized Evo features The Brain rear shock system that can respond to changes in the trail and not your body movement. 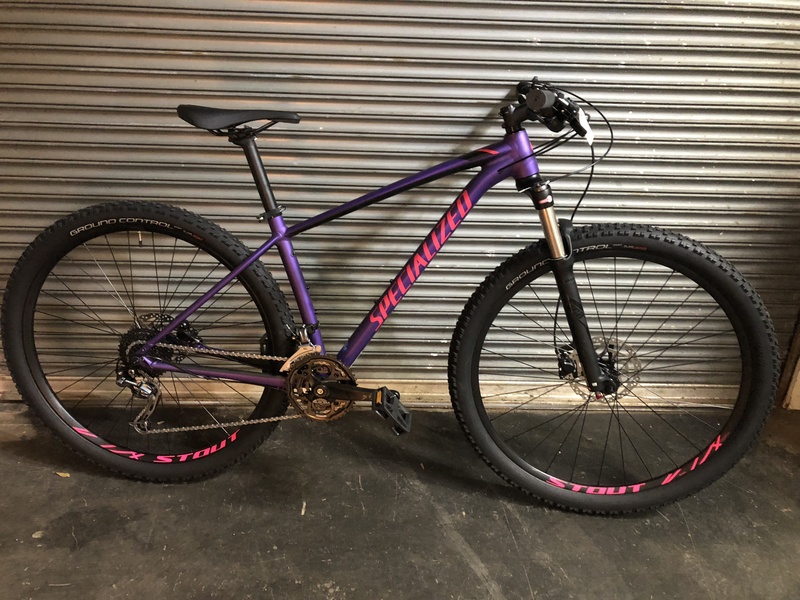 Pretty smart. 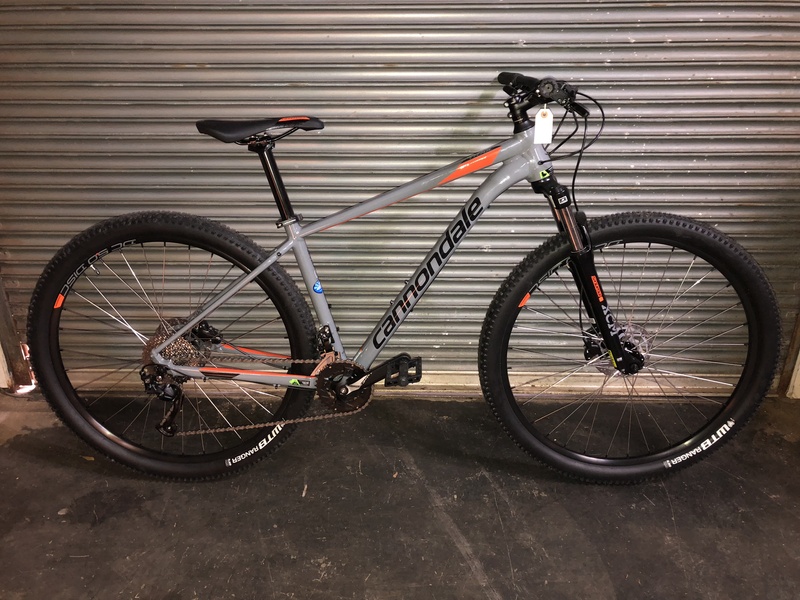 Cannondale Trail 7 is a solid hardtail fun machine.